Serial communications can be difficult to set up because of the many combinations of setup parameters. Setup parameters include: Communications Port, Physical Wiring, Baud Rate, Framing, Handshake and so on. Try different framing. For example: 8 bits, no parity, 2 stop bits. 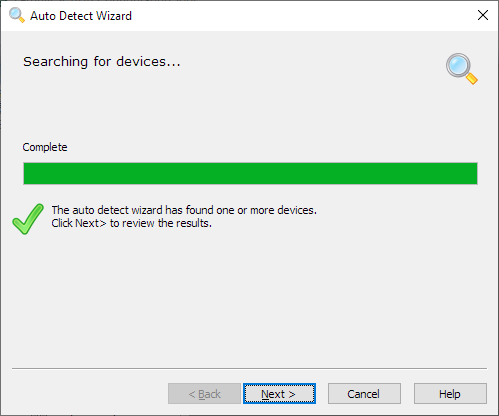 Note: The Wizard will only work if the physical connection to the device is wired correctly. 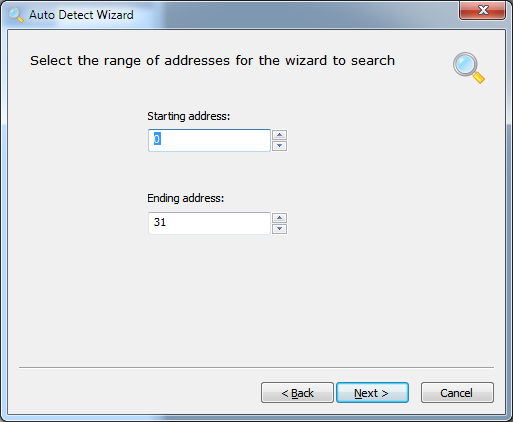 If you run the Wizard with an incorrectly wired connection, the Wizard will not detect anything. It is worth spending time checking the physical connection is correct before running the Wizard. 1. Start Configuration Tool. 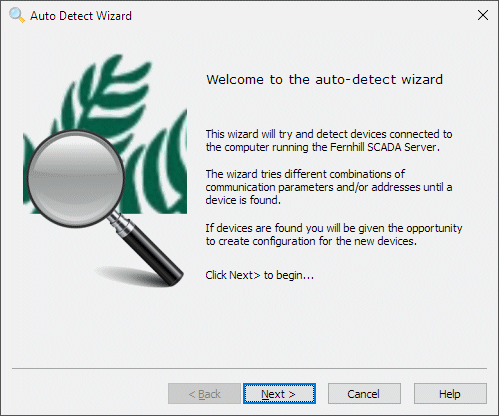 Use one of the connection options on the Start Page to connect to Fernhill SCADA. 2. 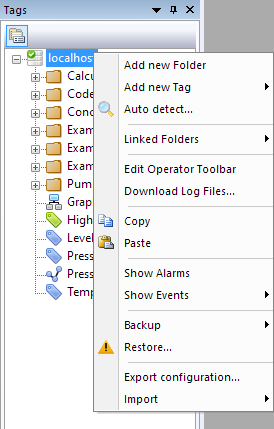 Select the Tag Window in the Configuration Tool. 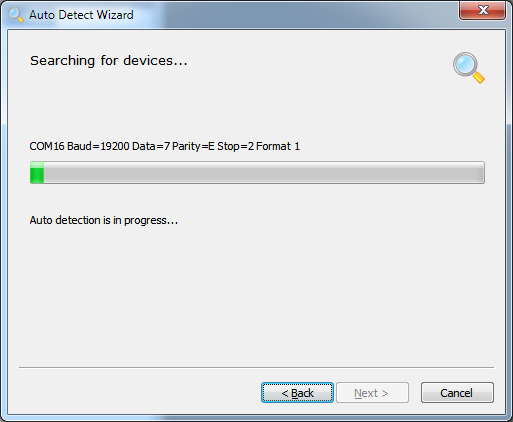 Note: You can only detect one device type or protocol at a time. Note: Some Mitsubishi Melsec communication modules, for example QJ71C24, may signal a communication error if more than 1 protocol is selected. This is expected behaviour. 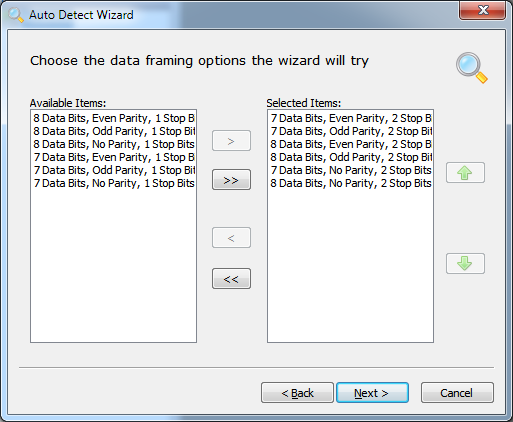 If more than 1 protocol is selected, the wizard will be sending different frame formats to the module. 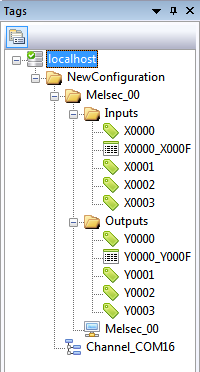 Some of these formats will appear invalid to the module and may cause the error indicator to light. 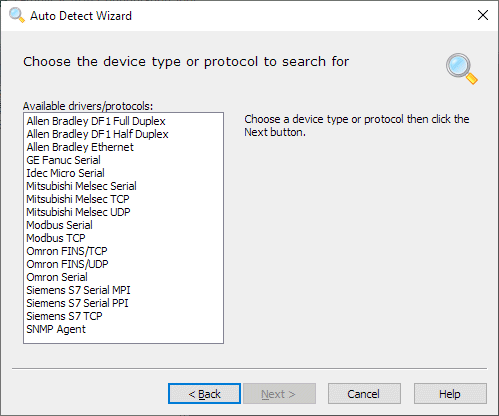 Note: The list of ports available on your computer may be different to the list shown above. 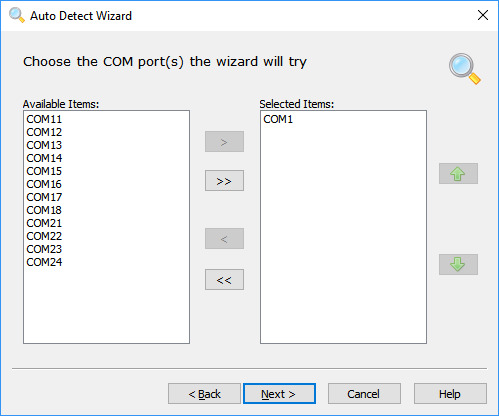 To select a port either: double click the port name, or select the port and click >. 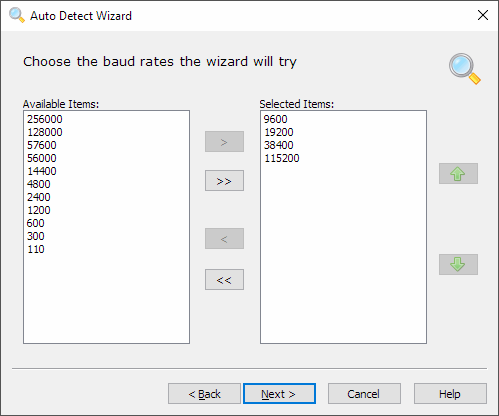 The Autodetect Wizard will try the port(s) in the order shown in the Selected Items: list. You can reorder the list using the up and down arrows. 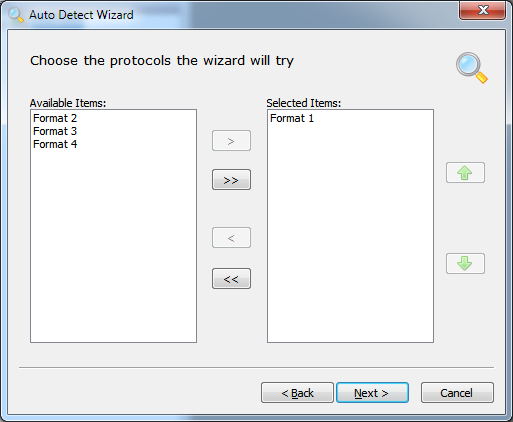 Note: If you selected a large number of options in the previous pages, the wizard will take a long time to run. 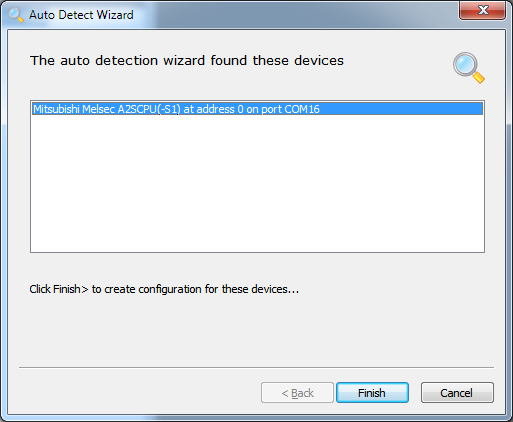 For information about setting up an A-Series Serial Communication Module. For information about setting up a QnA Series Serial Communication Module. For information about setting up a Q-Series Serial Communication Module. For information about setting FX Series Serial Communication. 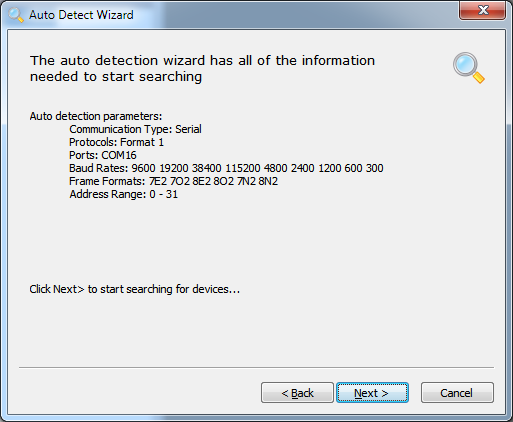 For a list of autodetect wizards supported by Fernhill SCADA.